Hereditary is not a classically scary movie. For much of its runtime it is a brooding family drama, focusing less on the slow burn mystery at the heart of the film, and more on the widening fault lines cracking apart the Graham family. It’s an unconventionally daring feat of storytelling, photography, sound, and above all acting that manages to pull off this high wire act of slowly unfolding dread, and ultra-realistic grief and horror. The film centers on the Graham family as they deal collectively (but mostly individually) with the death of the mysterious matriarch of the family, Grandma Ellen. Everyone seems mostly unfazed by her death; she was a remote and uncaring woman with a track record of emotionally abusing her only living child, Annie (played brilliantly by Toni Collette, who probably sewed up an Oscar nom with this one). But Ellen’s granddaughter, Charlie (Milly Shapiro), is increasingly agitated by her grandmother’s death, and becomes more and more remote. In an effort to pull Charlie out of her gloom, Annie forces her older brother, Peter (played by Alex Wolff), to take her to a party with him so she can meet new people and get out of the house. This seemingly mundane plot point has horrific consequences, and the Graham family slides into madness and grief, leading to an explosive climax that is as heartbreaking as it is terrifying. 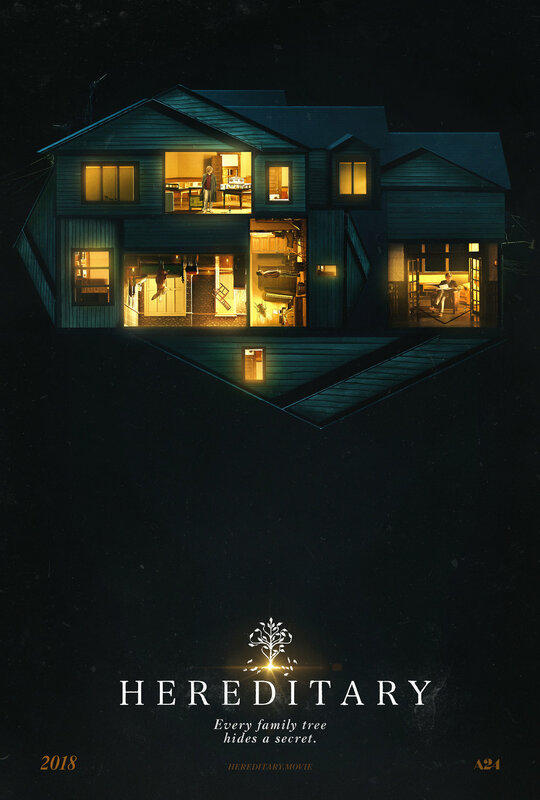 Hereditary is, more than anything, a story of grief, generational trauma, and the pain and fear of parenthood, and it shares more than a remote connection to other recent horror classics, like The Babadook, The Witch, and The Orphanage. All of these films eschew traditional horror movie tropes in favor of atmospheric studies in familial horror. Hereditary is perhaps the best example of the bunch, building a tale of sadness and terror out of the raw materials of grief, parental suffering, and family strife that is at times so wrenching that it’s difficult to watch. Pawel Pogozelski’s camera lingers painfully long on the faces of characters as they realize the true horror of their mistakes, some shots lasting nearly minutes. A classic example is a minutes long close up of Peter’s face as he waits for his family to realize the horror of what he’s done. As the camera lingers on his face, we hear the mounting howls of Annie’s grief in the background, the screams carrying us into the next two shots in one continuous wail of pain that lasts minutes. It’s hard to watch, but the camerawork and acting are so good this scene manages to convey more feeling in a few minutes than many movies pack into an entire runtime. The entire movie is like this; every scene is efficiently produced to wring the maximum amount of energy and emotion. There is no fat, no wasted moment, and by the time it comes to its jaw-dropping closing shot, Hereditary has pulled off a powerful trick, investing the audience so deeply in the Graham family that their ultimate fate is stunning, disturbing, and deeply affecting. Hereditary has been billed as the scariest movie since The Exorcist, and there is certainly an argument for that. But where The Exorcist required the power of the Devil to invoke its scares, Hereditary is just as frightening without the supernatural. In the end, the Devil is scary, but sometimes human nature is the scariest demon of all.